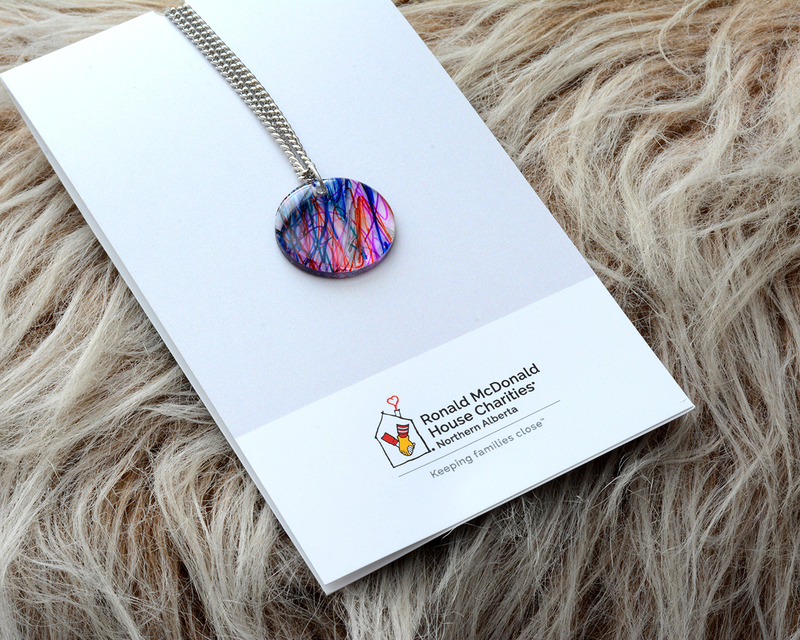 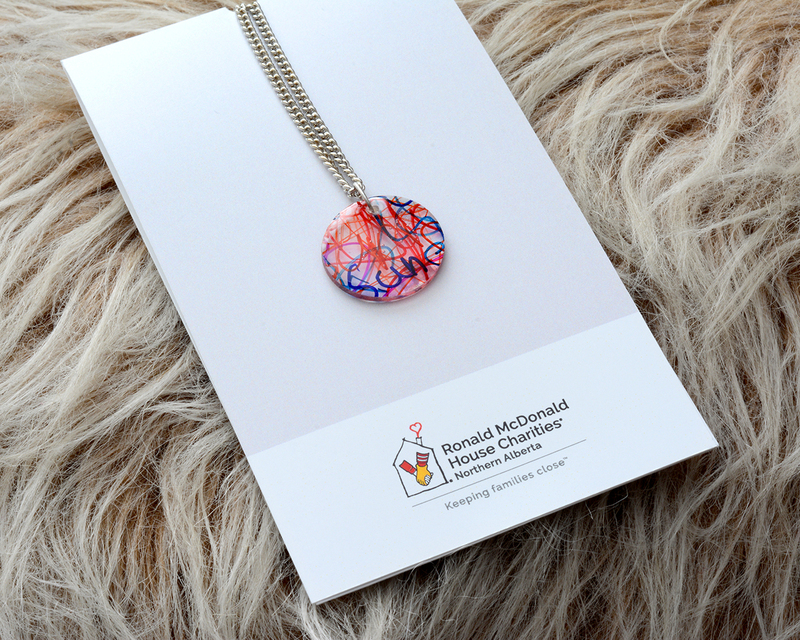 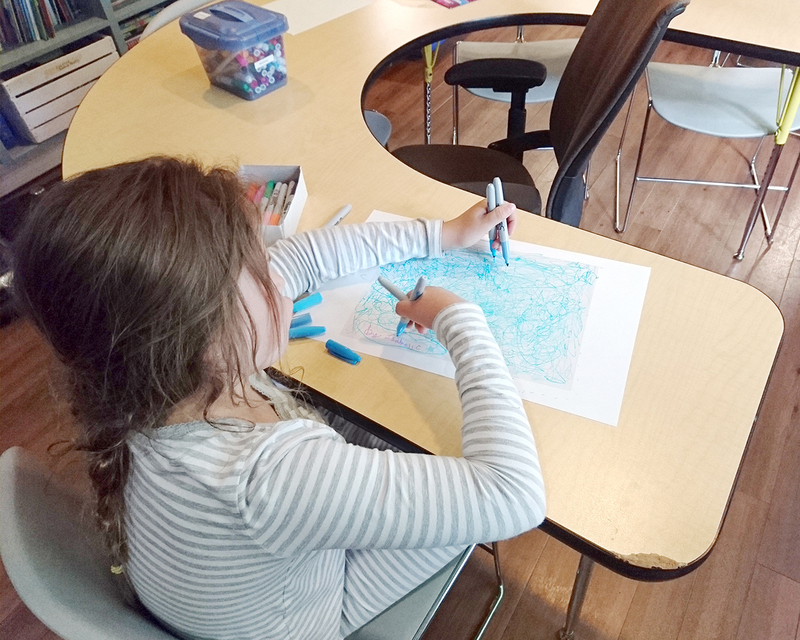 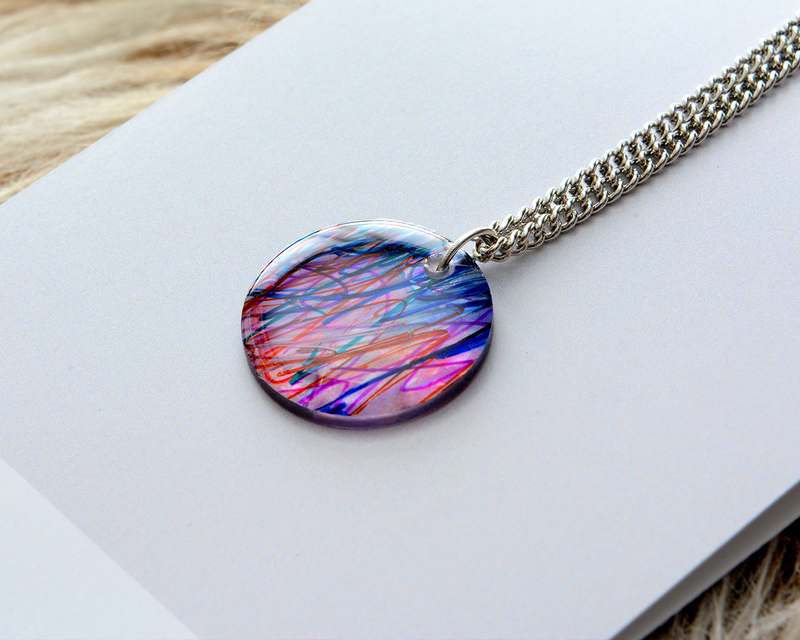 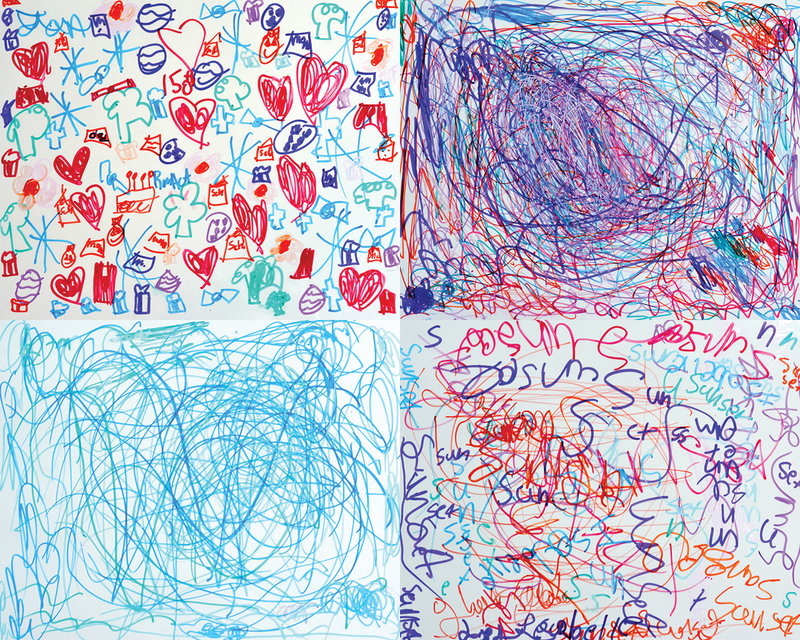 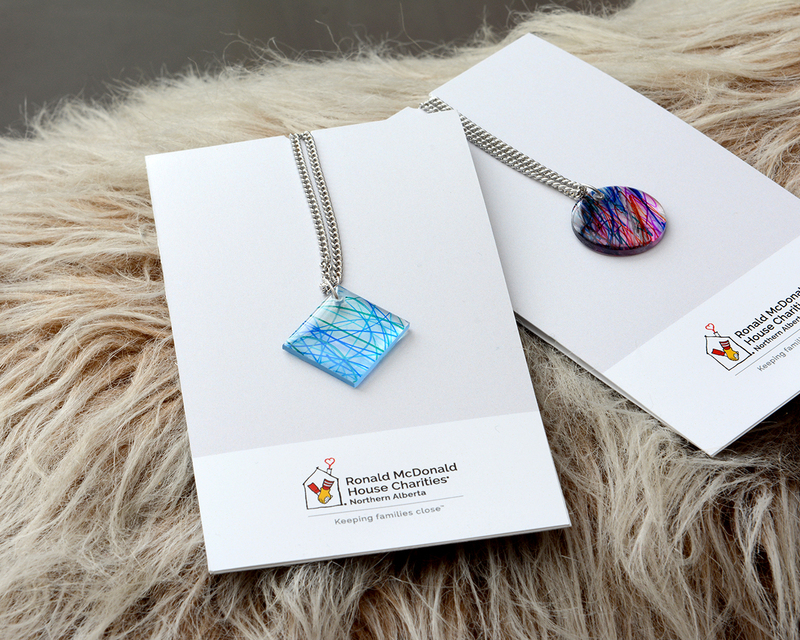 The necklace was inspired by one of the child who stayed at Ronald McDonald House Charities® Northern Alberta. 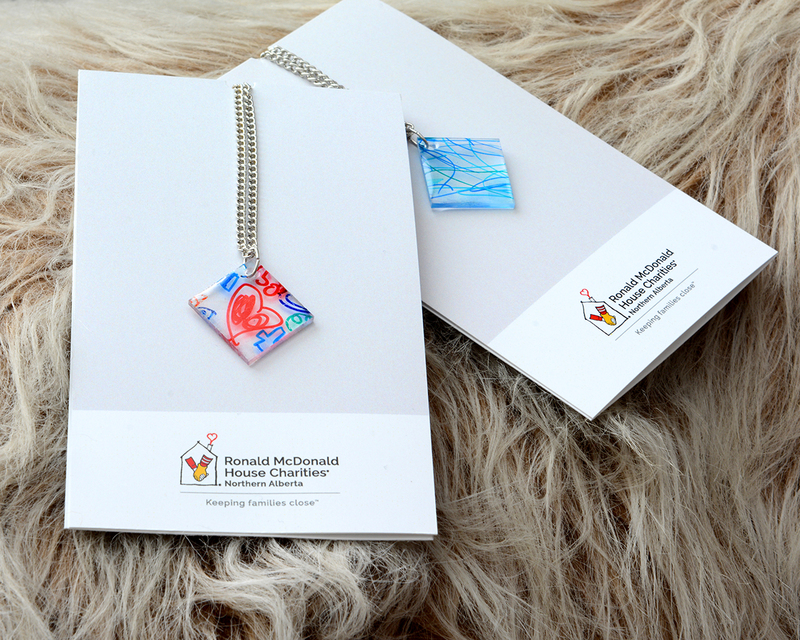 Her art piece was cut into fragments to create the charm of the necklace. 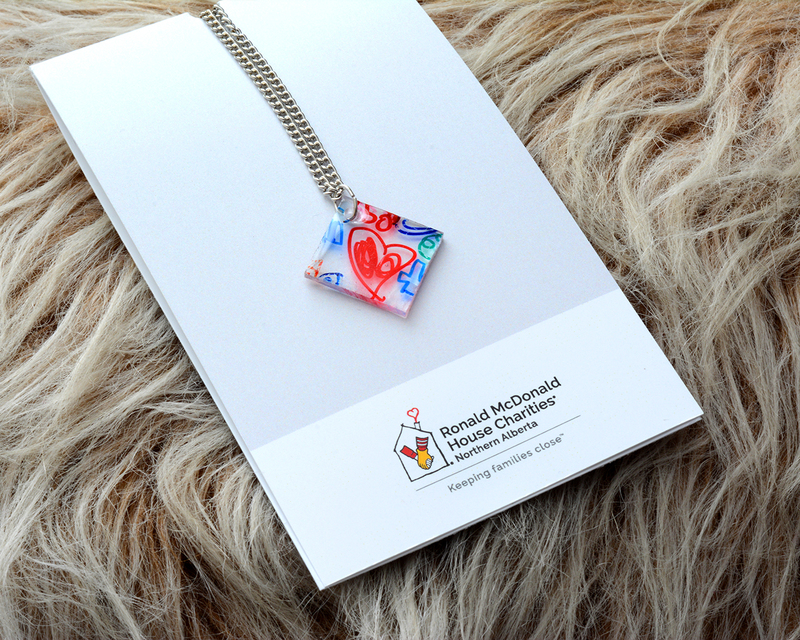 Each charm is one-of-a-kind and handcrafted for some very special guests from around the Ronald McDonald House world.